Hope your past week has been good? 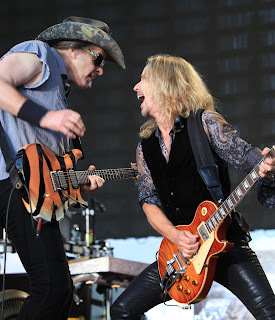 Would've liked to have caught Night Ranger live tonight, playing 'down the road'- About hour and a half - two hours drive from where we're at ... - in Woodhaven, Michigan, but had to decline, due to other things going on. 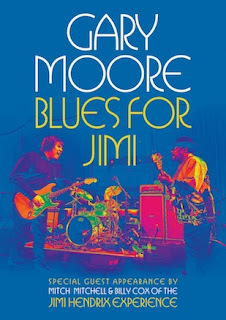 Hopefully a friend that said she was going, can provide a guest review for 'Chambers of Rock,' that you'll appreciate. Well, that it from me, on with some news updates for you folks. July, 2012 -- Special one-time-only surprises usually happen at the end of a long tour. The final stop in Bangor, ME last Sunday, July 8 of “The Midwest Rock ‘n Roll Express” with STYX, REO Speedwagon and Ted Nugent was no exception. “The Midwest Rock ‘n Roll Express” began May 1 in Hidalgo, Texas and quickly became one of Pollstar’s - www.Pollstar.com - top-grossing tours of the summer so far. 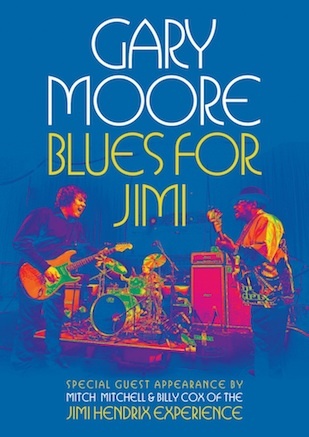 New York, NY (July, 2012) — Eagle Rock Entertainment is proud to announce the September 25 release of the Gary Moore CD, DVD and Blu-ray title Blues For Jimi. THIN LIZZY ANNOUNCE TWO LONDON SHOWS! Thin Lizzy are pleased to announce two very special intimate London shows ‘for the fans’ at Chelsea’s Under The Bridge venue at Stamford Bridge football ground as part the special Irish themed shows during the Olympics. The show dates are August 7th and 8th. Scott Gorham commented ‘After having a phenomenal year and a half on the road, including some great shows with Guns n’ Roses last month, we jumped at the chance to play a couple of dates at the London Irish Village 2012 at Under the Bridge to give something back to the London fans who have been so loyal to us. Tickets are available from www.ticketweb.co.uk and www.underthebridge.co.uk. 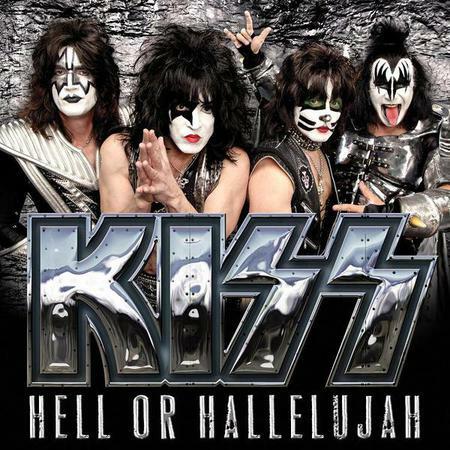 'Hell or Hallelujah,' the first single from KISS' upcoming 'Monster' album is officially available for purchase in North America on iTunes now and I have to say, it's not half bad if you ask me! Let's make some noise on the charts and click here to download. Be sure to visit Vevo and watch the brand new lyric video too. The summer tour starts in just a couple weeks, see you on the road this summer! The issues with the saga of Queensryche, sadly continue on, with major revelations from other band members against former vocalist Geoff Tate, who they decided to fire, when tempers got to the stage of violent attacks by Tate on his fellow band members, including a series of spitting and punching incidents ahead of a concert in Brazil back in April this year. What a disaster it's all become! NEW EUROPE VIDEO COMING SOON! It has been confirmed that Europe are to begin filming their second video from the excellent new album,"Bag Of Bones". Filming will take place in Gothenburg with director Patric Ullaeus who has successfully made the bands three latest videos.